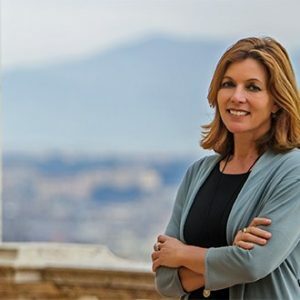 Special guest: Barbara Jatta, Director of the Vatican Museums. The Vatican Museums should be understood in the plural as a complex of different and extraordinary collections, including paintings, sculptures, epigraphic art, decorative art, and historical objects from time periods ranging from Ancient Egypt to today. The Director ​of the Museums​ will discuss the challeging task of balancing tradition and innovation: preserving the Museums’ invaluable historic collections, while also using them as a resource for contemporary knowledge, and integrating cutting-edge technologies that allow the six million visitors per year to interact with the art in new ways. Museum Meetings is a cycle of conversations in art spaces designed for all students. It is dedicated to various aspects of art and museums: art, collecting, display, iconography, techniques and media, conservation, and the role of museums and art archives in society today. The program originates from the Acton Collection and expands to other art locations. All the meetings are conceived as discussions and envisage an active participation. An event organized in collaboration with the Acton Lectures. In 1986, Barbara Jatta obtained a degree in the Arts, with a thesis on the History of drawing, engraving and graphics, from the “La Sapienza” University of Rome, and concluded a three-year specialist course in History of Art at the same institution in 1991. She undertook several specialist internships in England, Portugal and the United States. From 1981 to 1996, she collaborated with the National Institute for Graphic Design, working first as a restorer of graphic materials and then on the cataloguing of the Institute’s portfolios of drawings, engravings, woodcuts and lithographs. From the 1990s to the present day, she has taught specialist courses at various institutions. Since 1994, Jatta has run the course on the History of techniques and graphic arts at the Faculty of Arts at the “Suor Orsola Benincasa” University of Naples, where she has also served as a member of the managing board of the Pagliara Foundation since 2014. Since 1996, she has been the director of the Cabinet of Prints at the Vatican Apostolic Library, where she is also a member of the Exhibitions, Accessions, Acquisitions, Publishing and Cataloguing commissions. On 8 September 2010, she was appointed by the Holy Father Benedict XVI as Curator of Prints at the Vatican Apostolic Library. In 2005, she was co-opted into the Gruppo dei Romanisti. Barbara Jatta became a full member of the International Advisory Committee of Keepers of Public Collections of Graphic Art, the international association of Directors of Cabinets of drawings and prints. Since 2010, she has served as a member of the Scientific Committee of the journal, Grafica d’Arte. She has collaborated in and personally organized several exhibitions and has participated in numerous publishing initiatives in the field of the history of graphics and art. After being appointed on 15 June 2016 as Deputy Director of the Vatican Museums, Jatta was called upon by Pope Francis on 1st January 2017 to guide the papal collections in the role of Director of the Vatican Museums.